Drove my silver 2007 FJ from WV to Los Angeles and gave it to my son. Bought a new looking yellow 2007 FJ from Longo for a great price and it had a little over 78,000 miles. They inspected 130 items, four new Goodyear Wrangler AT/S tires and new brakes and a 3 month, 3000 mile warranty on everything. They are the number 1 Toyota dealer in the US since 1967, and I see why after dealing with them; they are awesome! 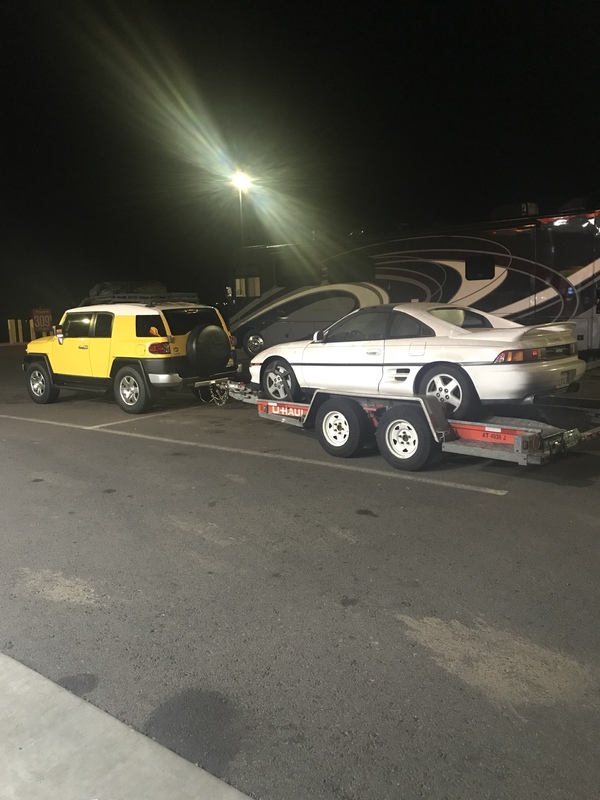 I just got back to WV via I-40 for 2683 miles pulling my son's Toyota 1993 MR2. My "new" FJ is a great tow vehicle. King Taco El Monte Meet II, Jan. 26th Thrs. New King Taco El Monte DATE 2/2/10. 7PM. King Taco El Monte Meet II, Jan. 19th Tues.